In obstacle course racing, there really is no offseason. There are races and non-competitive obstacle course events happening year-round and the importance of packing the right gear is exemplified during the cold winter months. Of course, OCR products you use in the winter might have the same utility during peak season (the summer) but nonetheless, it’s better to over-pack than to be underprepared. We know that packing for a 24+ hour course/adventure is a totally different beast that requires an advanced packing list so these items don’t represent a full packing list for those extreme events either. For the mud run beginner unsure about what to bring on race day and for the obstacle enthusiast looking for some new OCR gear, we present the 2017 Winter Packing Guide. Take your pick from these 22 winter-proof products to eliminate all guesswork during race week. Let’s start off with some great options for what you’ll be carrying your gear in to your cold-weathered obstacle race. Racers tend to have their “go-to” main travel bag for races, and one of the more popular options is the Hylete Icon XL Convertible Backpack. However, there’s plenty more versatile, durable bags to consider this season. Check out our top bag picks. A water resistant bottom and 100% nylon exterior makes placing this large backpack on a wet bench or muddy ground a complete go. The two side pockets are perfect for shaker cups and pre-race fuel and the roomy main compartment will fit all of your race day needs. Made with water repellent and ripstop polyester, this durable duffel bag is for the OCR racer who can never have enough gear or is packing extra products for a fellow racer. One side compartment is a shoe carrier, perfect for storing the shoes you’ll be changing into after you win the struggle to remove your muddy ones, and the other side compartment includes a Fitmark Box. The Fitmark Box is a lunchbox that includes two BPA-free, snap-locking, plastic containers, ideal for storing pre/post race snacks such as fruits and nuts, or if you’re a serious fitness competitor, you can pack meals! The two included TSA-approved ice packs will keep your food cold while you’re on the course. The main compartment is huge so you’re sure to fit your own, and someone else’s, mud run gear. If you’re on the hunt for a truly waterproof bag that also tough as nails, Reebok has you covered. To make this bag waterproof, insert items into the spacious vertical opening, roll the top down, and snap the buckle in place to secure it. Wear the sleek bag on your back as your standalone OCR bag on a rainy day, pack it into a rucksack during a longer endurance event or fit it into your main OCR bag to ensure everything stays 100% dry. OCR enthusiasts that pack on the lighter side--a backpack is all they need—will find the Breakaway pack a stylish, durable pick. 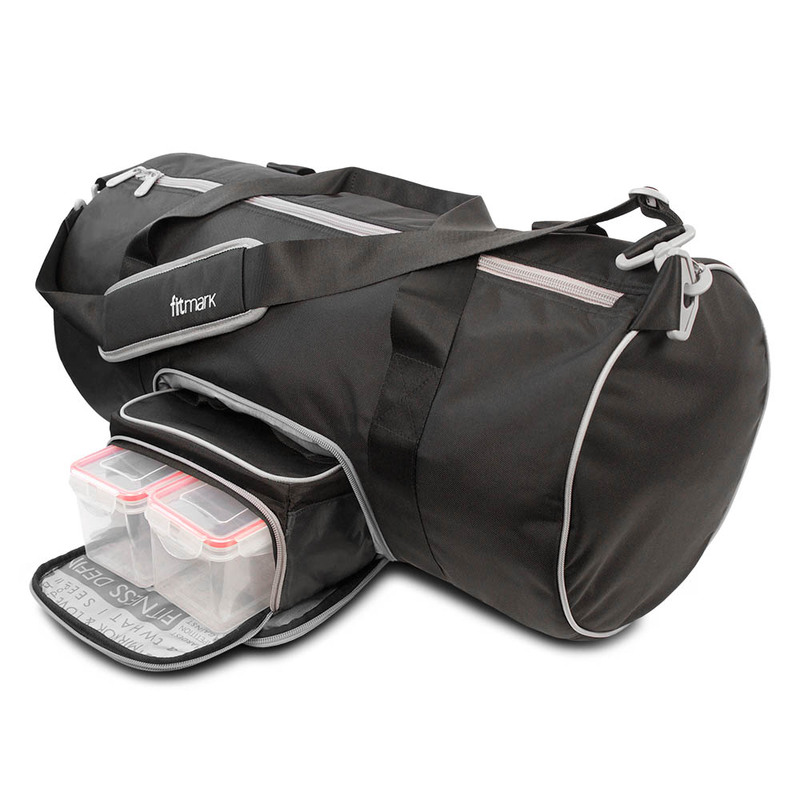 The waterproof polyester bag comes in several colorways and contains many inner and out zipper pockets, so you can use this for more than just racing. If you’re a one bag for work and play type of athlete, this one is for you. You’re wondering why the Fireball right? Nathan suggested this model for OCR due to its versatility. Wear it with the included two 12oz insulated flasks, or without the flasks, and with your own hydration bladder (up 1.5L) that fits inside. Zipper pockets on both the shoulder and back ensure both your hydration pack and race fuel is secure. The adjustable straps make it one size fits all and it’s unisex too. If you’re more of hip belt OCR racer than a hydration pack type, the ripstop nylon Osprey Rev Solo includes a BPA-free water bottle and a zippered compartment to get you through a shorter course. The lightweight belt clips around the waist and the breathable mesh fabric won’t irritate your skin. We know the feeling: you have a race this weekend and haven’t done your preliminary nuts and jerky trip yet. If you hit up a local CVS, which many OCR athletes do pre-race, you’ll find the next two quality snacks. The last three are portable sources of natural protein, sugar, and carbs. So, you know that whole dried fruit trend? Kind Bar makes pressed fruit bars too, and they’re delicious. The Pineapple Coconut Chia bar has four ingredients: pineapple, apple, coconut and chia seeds which totals 1 cup of fruit. With 16 grams of sugar, 95 grams of potassium and 25 grams of carbs, you’re sure to stock up on much-needed glycogen before, during and/or after an OCR event. Whether it’s beef, chicken or pork, jerky is one of the main go-to snacks for OCR athletes post-race. The Pork Grilled Sweet Teriyaki packs the most protein of any Krave Jerky, and more than most jerkies in general: 9 grams per serving. The spice blend leaves you with a memorable flavor and the 3.25 oz bag is enough to last the entire day. 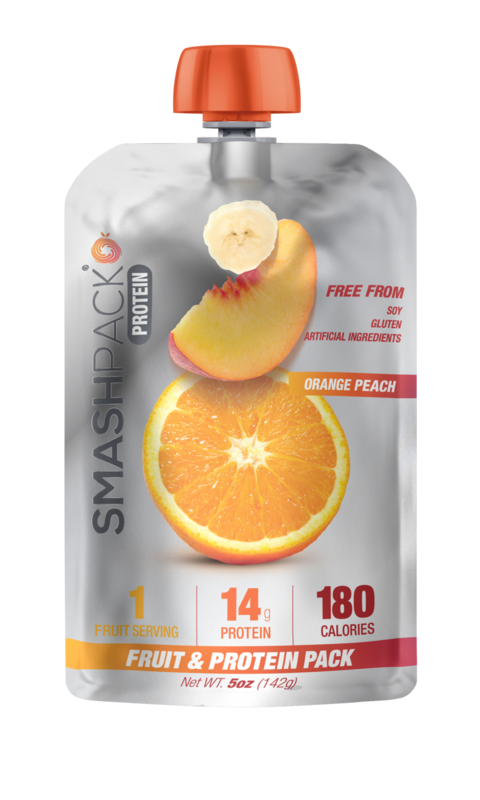 Smashpack is a resealable (it has a cap) pouch of real fruit, milk, juice and purees. All three flavors, mixed berry, tropical fruit and orange peach are packed with 14 grams of protein per pouch—that’s more than many so called protein bars in the market. Gluten, soy and artificial ingredient-free, Smashpack is the ideal snack to sip on between before a race and between laps of an OCR since it doesn’t require chewing but still packs plenty of nutrients such as 240+ mg of potassium and 5 grams of natural, long-lasting fat. The New Primal makes non-GMO, hormone and antibiotic-free, Paleo-friendly jerky and meat sticks. 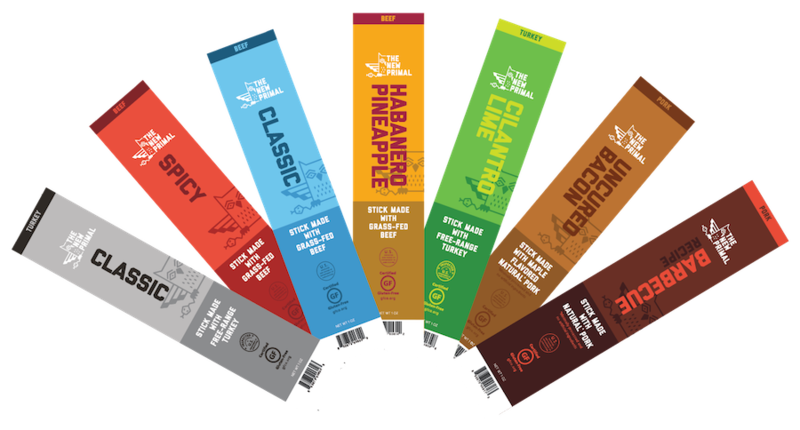 They just launched four new meat stick flavors: Habanero Pineapple, Cilantro Lime, Barbecue and Uncured Maple Bacon. Yeah, about that Uncured Bacon stick, it’s macronutrients are 8 grams of fat, 6 grams of protein, and 2 grams of carbs. Maple syrup, honey, black pepper and sea salt provide a tasty, almost smoked taste, even though it’s uncured. The first ingredient of these square gummies is glucose syrup and each serving of gummies provides 12 grams of sugar from that glucose. These energy chews have zero caffeine, gluten, soy, artificial coloring, artificial preservatives, sucrose or fructose. Fifty milligrams of potassium, 24 grams of carbs, and 70 mg of sodium provide smooth, lasting energy, meaning no jitters or stimulant-like effects. Throw a pack of these into your hydration pack/race belt to ensure you’re getting fast-acting energy when you’re hungry. 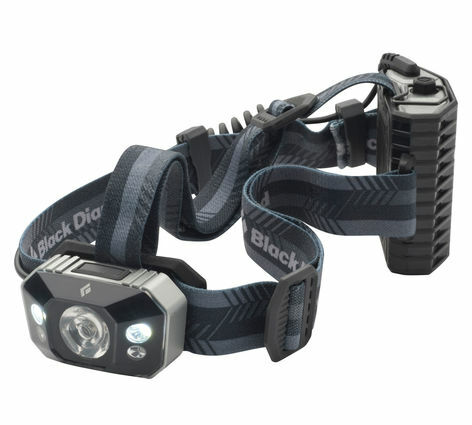 The most admirable quality in a headlamp for an OCR enthusiast is waterproof. The Black Diamond Icon is IPX7 Waterproof, operating 1 meter underwater for 30 minutes, and it won’t break from this submersion. Powered by 320 lumens, the light is super bright, reaching 100 meters, and upon turning the light on, it provides a battery level reading. Dimming and strobe options allow for various night-time lighting options. 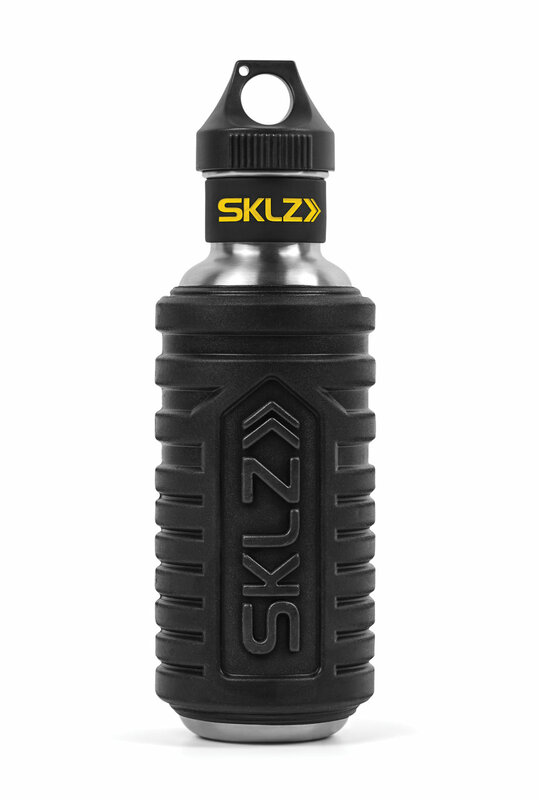 This convenient fitness tool combines a sturdy, dense foam roller and a stainless steel water bottle into one. Foam rollers are notorious for taking up too much backpack space so reduce the load with the Hydro Roller, especially since you’re likely going to be carrying your bag around while socializing post-race. Before you hit up the bag check, roll your IT band, glutes, thighs, hamstrings, calves and upper back to ensure proper blood circulation and maximum range of motion in the hips. Or, if you prefer rolling at home, bring the Hydro Roller to the race and roll out afterwards, taking sips of water between body parts that you target. Under Armour’s Storm finishing on its polyester apparel repels water, meaning, yes, you see the water turn to droplets then drizzles down. The combination of warm, breathable fleece and water repellency make these pants a great choice to change into for the ride home. Reebok’s latest running leggings are 85% polyester and 15% elastane, complete with a drawstring and mesh panels behind the knee for added breathability. The inner fleece features Speedwick technology which wicks away sweat while keeping you warm. For racers that might throw on compression pants at the last minute after realizing how cold it is, it’s safe to pack these. Or, wear these post-race under pants to speed up the recovery process in your leg muscles. If you had to pack one shirt that fits right, repels water, has thermal properties and won’t ride up, the DNAmic Mock Thermal is it. Whether you throw this on as a game-time decision or wear it post-race for recovery, the polyamide, elastane and nylon shirt will make you forget you’re wearing it, that’s how form-fitting it is. The moisture wicking thermal interior is suited for temperatures as low as -4°F. Mizuno’s Breathe Thermo technology accomplishes everything one can ask for from a cold-weather training material: keeps you dry, fits comfortably (isn’t too tight/compression), and provides dramatic warmth without extra bulk. These properties worn while warming up for a race, and mingling afterwards, are ideal for anytime it’s cold and you don’t want to wear a heft winter coat. Perfect for OCR or post-race recovery, the Marathon Elite socks are 70% polypropylene, 20% nylon and 10% spandex. Polypropylene is a synthetic material that doesn’t absorb water as much as polyester, and when it does absorb, it quickly dries. This material also contains more heat than polyester. Combined with the nylon and spandex, the socks prevent blisters and the over-the-calf length fit nicely under compression pants or for you cold-weather heroes, paired with shorts. We know whatever shoes you pack in your OCR bag to change into are getting muddy, just like your racing shoes. We also know flip flops are often the go-to choice in the summer. For cold months, you may want to bring a pair of old winter boots. Don’t have winter boots? Definitely consider The North Face Snowfuse Boots, which are easy to put on, waterproof, insulated for warmth, and have technical outsoles for navigating snowy, muddy terrain. Take a look at the CTR technical line of Chaos Hats and you’ll likely find something you can use this winter. The reversible Stealth Race Skully is stretchy, (thanks to elastane, polyster, and rayon), yet stays put due to it’s ergonomic construction. The neon, double-layered ear band keeps ears extra warm and your head visible. For pre and post-race gloves that will work with touchscreens while still providing maximum heat and movability, the Etip Hardface gloves are a solid pick. The stretch fleece keeps wind out and the silicone palm adds extra grip capability.